I’ll keep this succinct (not usually an art I practise here). As bloggers, we are always told we must declare everything we receive. We must be open, and transparent. We must think for ourselves and feed off each other. We’re a billowing flock, smothering the Internet like starlings. But what happens when this breaks down? What can we do? Very little. We’re just supposed to take it. Some believe it’s a compliment when other people plagiarise your work. For the record, they have since offered to take them down, and/or credit me as the inspiration, and they acknowledge my designs were their inspiration. They claim their altered works as their own design. I’d agree I didn’t create them: I’d even say they have the makings of being better. On one hand I want to insist on them being taken down, as they were used without my permission and look far too similar to my own. On the other I don’t want to appear hasty, and unwelcoming to a new blogger — especially as I don’t believe they acted maliciously. They’re fully open to me throwing this out there, and having you judge it. So, consider you were in our situation: What would you do? Ant, I can see why you’re pissed . . . but, I think if they’re willing to credit you as the inspiration for this design, then I would be willing to let them use the boxes. The boxes are distinct from your own design though they are framed in — but I have seen other framed in boxes for RSS, Facebook, etc. They look similar to yours but definitely not the same. So people got their banner ideas from you and you got pissed? Sort of a bit of an over reaction. I mean people copy themes and icons all the time on the web. It’s not like they are stealing your posts and saying “I wrote this.” It’s an icon. All they did was put a frame around the box. The insides are totally different. In fact, i think you are totally overreacting. After all, if they did get the idea of frames from you, then isn’t imitation the sincerest form of flattery? It’s the internet..people copy theme ideas all the time…I mean oddly, you happen to have the wibya bar. Did you copy that idea from me? Maybe you got it from Gary. Either way, now 903754398 blogs have it. You wanted my opinion so there it is. In sum, you are over reacting. Thanks for opening up the comments, Akila. I agree they have acted decently, in hindsight. I think if I’d come across these in a different genre, I wouldn’t have thought twice. It was the fact that I knew — and they openly admit — that they had taken my design and used it as the basis for their own. I’ve always displayed the © Copyright symbol, but now question what does it actually mean? We can’t enforce anything. If the individual had been a business, would I have a leg to stand on? I don’t know. Hopefully we can learn from the experience. For the record, there is no malice between us. We both view this post as a positive outlet, and somewhere bloggers can learn the correct line of action, and evolve as a community. whoops! just realized it wasn’t you who asked for my opinion. Thanks for weighing in, Matt I heard you were coming. That’s what this post is designed to be about, airing people’s thoughts and opinions. I presume you’re not using the Wibiya bar as an actual comparison, as you know that’s a bolt on tool offered to bloggers, which, granted, I did originally see on Gary’s blog and now realise you have it also. It’s a fact that the individual copied it. What I’d like to get out of this is, should they have done so? Or should there have been a dialogue about it? I would be a lot more irate if someone had copied my text and photographs without permission! I see themes, buttons and designs that look similar all the time. I didn’t associate the buttons you mention solely with your site so the person may not have thought so either. Just a thought. Thanks Gourmantic. It’s an interesting theory, and thanks for sharing your opinion. Personally, I don’t see much difference. It took me as long to create the buttons, as it did to create this post. In my opinion, everything I create comes under the same copyright umbrella. If I released it under a Creative Commons license, with permission to create derivative works, then fair enough. But I didn’t. It was just taken. It’s really good hearing the different points of view, from established bloggers. I wonder if this is why so many WordPress themes, and Plugins are free? If you can’t beat them, join them. There’s an interesting discussion point here: about what bloggers will accept, as an unwritten rule. What do other people think? In that case, I would apply the copyright logo to the buttons (not very aesthetic, I know) and put a Copyright statement on every page stating that all content including design, logos etc cannot be used without permission. It still won’t stop people from stealing but it may make them think to ask first. Your point about WP themes and plugins being free is what can make people think other stuff is also freely available. Having had stuff copied and stolen in the past, I would like to see stricter rules applied. The other point I haven’t made above, is that I’m often hired as a designer. Therefore I consider everything I create, as my own, unless I’m contracted otherwise. If people want to use anything, let’s talk; but don’t be surprised if I want paying for my time and services. If I offer things out for free, I’ll make it brilliantly obvious. I think that’s fair, what do you think? Should we accept a global free-for-all for the greater good? How can we stop it? Should we even try? What’s your own experience? 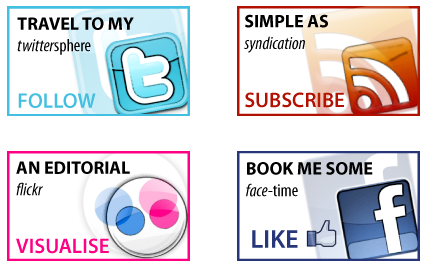 In my experience (I have a graphics degree)…copying layouts, such as the four boxes the way they are, is not plagarism. However, copying the design is. They changed the design of the boxes so I think they’re in the clear. I would be flattered that they thought so highly of your idea. The attitude of ‘Oh, it’s on the internet. It’s free.’ makes me irate. But it’s all about educating people and pointing out consequences. However, I’m not sure about the best way to change that mindset apart from stating things clearly on one’s site and referring to them if/when needed. As a designer, writer, photographer or any artist or person contracted to create, we are naturally possessive of our craft. As for accepting a global free for all on everything, I don’t agree. We already give freely on our websites through the information we disseminate. We have a right to choose what is free or paid when it comes to our work or hobby. Should we try to stop plagiarism? Absolutely. I don’t consider it flattery to be copied. It’s plain robbery. It’s only fair that they offer to mention the design was inspired by yours. Of course it is annoying when you dedicate a lot of time and creativity in creating these boxes (which look really cool, btw), but like others have already said – it’s the internet and a lot of people / bloggers seem to ‘steal’ ideas from others – we’ve seen far worse copycats… You probably can’t prohibit that they use the boxes, so we see being credited as their inspiration is a good thing. @Stacy: I’m coming round to that way of thinking. Maybe I’m too conservative, and as a blogger I need to ‘let go’ and skip freely through the the blog fields. It’s definitely making me think twice about the kind of work I’m prepared to produce for free. @Gourmantic: “Plain robbery.” This is exactly how I feel. Granted, the above example isn’t as clear cut as many examples out there. But the fact is, they did take it. They even copied the exact size and concept. It stinks of the typeface wars between Helvetica and Arial. If they can’t have it for themselves, they just closely copy it, and there’s not a worthwhile thing that can be done. The only solace is that some people know the truth. @Globetrottergirls: Thanks. Perhaps there’s room in the travel blog genre for an open source design network, and/or some sort of formal network where people can share creative ideas on a Creative Commons style format? Thinking totally off the bat there. UPDATE: The blogger in question has since altered the layout of the four boxes and added some others. They asked my permission to carry on, and after listening to the above I repented and gave it. I don’t like it, but as I said in the post we were both happy for you — our community — to judge it. (But naturally, I’ll be changing my own design to reinstate some individuality!) I’ve learned a lot from the opinions, and I hope you all have too. Share your thoughts below. Sorry, but I’ve got to say that they are in the right here. I’ve actually seen nearly identical boxes (although as with your “clone” it was also facebook instead of podcast) over a year and a half ago. Long before you had yours up. As they said, “This is like saying nobody’s allowed to put four framed boxes with links on their pages just coz you’ve got them on urs”. Heck, I did something similar for a design of my own with RSS/Flickr about four years ago. And I had got the inspiration from somewhere else, I’m sure. The facts is, it’s ridiculous and spiteful for you to be mad at them. You might as well complain to every person you see wearing the same brand of clothing as you. They might have been doing it long before you. Also note that this is in no way plagiarism. what are they stealing? The idea of internet buttons with a border in a colour corresponding to what it links to? Mate, that’s been around for over a decade. Thanks for the comment Darcy, I’d like to see the boxes you mentioned myself. Once again, this isn’t a case of mistaken coincidence. This is a clear cut rip off. But, once again, the original matter has been settled. It had absolutely nothing to do with what clothing brand we wear. It’s not copying someone else’s style, it’s copying someone else’s creations. Completely different. Saying that is like saying if we read the same magazine, then they’re copying me; when it’s not an issue of copying my consumer habits, it’s an issue of copying my creative content. Thanks for your comment though, it’s an enlightening viewpoint. It’s hard to say in situations like these. Sometimes inspiration is indirect and I’d say almost all of our ideas are shaped by the things we read and see. It’s good you got in touch with the other person and they’re not acting maliciously. I had a similar situation once but have since decided to let it go – too many gray areas, unless it’s a blatant copy, the proliferation of ideas benefits more than it harms. True, Anil. Thanks for your comment. I guess the blogging platform, as integrated as it is to the Internet, it’s still very much in its infancy. We’re all learning from our mistakes, and creating an acceptable norm. In the same way as we don’t all agree with all of our respective governments policies, we don’t all agree with other bloggers actions. C’est la vie. As you know Anil, I’m moving on with the design of Trail of Ants so if anything, I’m glad of the timing. Dude, I’m gonna say it – I’d be pissed. And, I’m glad you got in touch with them about it. I HATE how every blog looks the same, and how so many people pick up on the ideas of others. It’s like if one person blogs on a topic, 3 more follow in my reader the next week. But, I guess it’s just the way of the world, and when it comes to the Internet, things like this come faster and appear more obvious. What can you do, really? Hey Ant… oh, this is something near and dear to me! First, given the two images, I think you have a right to be frustrated. However, I think they were in the clear – for the most part – as far as designing “similar-yet-different-buttons.” A shout out, attribution, or a quick line acknowledging your work would have been sufficient, in my opinion. Now here’s my problem. There’s really not an easy way for both creators and content wranglers to consistently embed and examine photo metadata as it moves throughout the web. I checked your image for copyright information, yet I could find none. This is a problem! For you, me, and all the content creators and those who respect the amount of effort that goes into creating things. … yeah, I haven’t been traveling much… but take a guess what I’ve been doing this past year! @Brooke: “What can you do, really?” Indeed. I think there’s a clear divide in blog camps: creators and recreators. Blogging is seen — and sold as — as an ‘off the shelf’ platform, so people literally do that: they shop other blogs, and whip ideas straight off the page. As the offending blogger in question – *dips head in shame – I thought I’d step up and clarify my stance on this. There is no doubt that I have indeed got the inspiration from Ant. I must also admit that my failing to cite Ant as the originator of my inspiration is a minor, well, failing on my part. But to accuse me of plagiarism and theft? Say that is to deprive fashion designers of their Vivienne Westwood, painters of their Vincent van Gogh and writers their Tolstoy and Salinger. And what annoyed me the most is the suggestion that, since I got the inspiration (or some may say ‘stole’ the idea) from Ant, I therefore have squandered no effort or time working on these designs. Which makes all the time and effort spent creating these banners – only to be ridiculed and denounced – more the ironic and futile. According to Ant this is a case of “clean cut rip off” – what more have I ‘ripped off’ than coloured frames and a desire to install them on my website? (Though having said that the formation in which these banners were arranged didn’t exactly do me a lot of favours – I have since altered them) For the record, a riposte to Ant’s presumptions of aspects of my design, the font I used were unanimously Myriad Pro, the colours of the frames were derived from the icons themselves; I can tell you how I poster-edged the icons, how opaque the background icons are (25% for the record). Heck, if you want me to show you’re the Adobe Illustrator CS4 files I WILL present them to you on a silver plate. Speaking from my point of view, I feel outraged to be assumed to have contributed little to no creative output to the designs, which, as much as Ant’s are to him, are legitimately MINE. On a different note, Ant and I have both agreed that our presenting this case to the blogging community would attract a lot of opinion and, as we expected, it certainly did. Don’t think that citing Wibiya as an example of idea-copying is a good representation of this scenario. Widgets and plugins as such are created for the purpose of free public distribution, an intention Ant has not expressed. With regards to plagiarism, I’ve been led to be more aware on the literature side of things. This isn’t merely the result of my university education, of I was mesmerised with the definition of plagiarism and ways to avoid it – I just think it’s plain wrong to call other people’s work yours. Likewise with any other manifestations of creativity – my ethics simply wouldn’t allow it. And of course, I’d feel irritated, even furious, if some scoundrel decides to copy my work, letter to letter, pixel to pixel. In my defence, I simply don’t think this is a case of plagiarism. Like at all. But then, I do appreciate everyone who’ve voiced their opinion concerning this matter – it could be a sobering moment to many of us, for us to reflect on the global-free-for-all phenomenon, and whereupon lies the boundary between inspiration and replication. I certainly know where I stand. Dylan, regardless of whether you intentionally plagiarised or not, it’s very clear — and you’ve also admitted — that your buttons borrow Ant’s style: coloured frames and same text layout, albeit different fonts. In my humble opinion, the accusation of plagiarism is valid since the offending work shares the same object type and purpose as the source of inspiration. There’s simply no need to use the same style, especially now that you two have ended up in this situation. A successful and respectable blog should be unique, so as a newcomer, Dylan, you’re advised to consider withdrawing this design and try again — not only for the sake of integrity, but also to maintain a good relationship. The core value of blogging is all about helping each other within the sphere, but it only works when you’re welcomed into it. 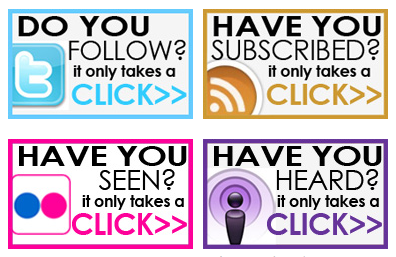 For the record, in my eyes: you copied the exact, unique size of the buttons; the coloured border concept; the bold black headline; the capitalised, singular call to actions; and the coloured footer; then, originally, even the exact same positioning of the four buttons (where you replaced my podcast link with Facebook). @Richard: Thanks for the comment. My sentiments exactly. To be fair to Dylan, he did offer to withdraw them and I said I’d put it to the community. Since then, I’ve agreed for Dylan to keep them up. I’ve now taken mine down — not as part of any agreement, but as a reinvestment in my own individuality. I singled Wibiya out for the sake of balance and fair banter. As with the tutorial, you do bring out the defensive side of me Ant. I guess Richard is right, he does know infinitely more than I do in respect of technology and social media (that’s kind of why I asked for your opinion and your opinion I shall oblige). I’ve therefore decided to smite the matter and send it to the grave – the banners (which I still insist upon being my creation but, heck, I’ve lost my enthusiasm on this matter…calling it quits) have been removed from my site and yup, following your advice Richard, I’m gonna take a big step back and attempt the reattempt. Cheers for being a good sport Ant – though I hadn’t set out with a malicious intent. Anyway, I do hope that the blogger community are not judging us both as individuals in the aftermath of this debate. Think you jumped the gun a bit, i mean it’s not like you have copyright for the above services. Just think how many variations of rss icons there are, if everyone who made a new one has someone email them saying “hey that rss icon is encased in a circle and it has a drop shadow just like mine” then nothing new would ever get made. A link back would of been nice, sure. But again not essential because he took inspiration from you, and thats not a crime. Thanks for the comment Ben, ironically after I took mine down, Dylan did also! It was a good discussion, one that I’ve certainly learned a lot from, and I hope others can take positives from too. I checked out your blog, nice work. If I ever switched genres, it would be to gardening, or food. But I hasten to add, I know nothing, whatsoever about gardening! Me neither… i’m just winging it. It was something I could do thats outdoorsy that doesn’t involve too much expense… or so i thought. Sounds like there’s a lot of similarities to travel! I as well as my buddies appeared to be looking at the best procedures found on your site and immediately developed an awful feeling I had not expressed respect to the site owner for those techniques. Those men ended up so stimulated to learn them and already have seriously been tapping into these things. Thanks for simply being simply accommodating as well as for getting varieties of ideal areas most people are really desirous to know about. My personal honest apologies for not expressing appreciation to earlier. Thanks a lot for providing individuals with remarkably spectacular chance to read from this blog. It is usually so terrific and as well , stuffed with amusement for me and my office peers to search your blog no less than three times per week to see the fresh tips you have. Not to mention, we are always motivated for the staggering suggestions served by you. Selected two areas on this page are certainly the most efficient I have had.